Populus lasiocarpa is commonly called the Chinese necklace poplar and is an unusual species of poplar native to humid forests of China. 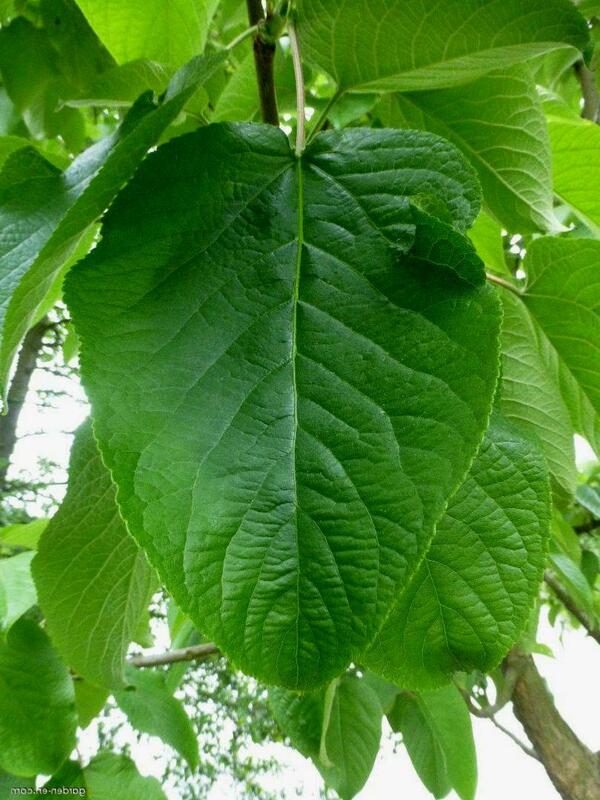 It is closely related to Populus wilsonii, Wilson's poplar and also Populus glauca. 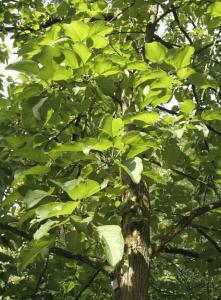 This remarkable medium-sized poplar can attain a height of up to 20 m.
Populus lasiocarpa is known for its very large leaves that may reach dimensions of 35 × 25cm. The stalk reaches a length of 20cm and the bottom sides of the leaves are very hairy. The beauty of the leaf is also increased by the rich rhubarb-like red of the stalk and leaf midrib. 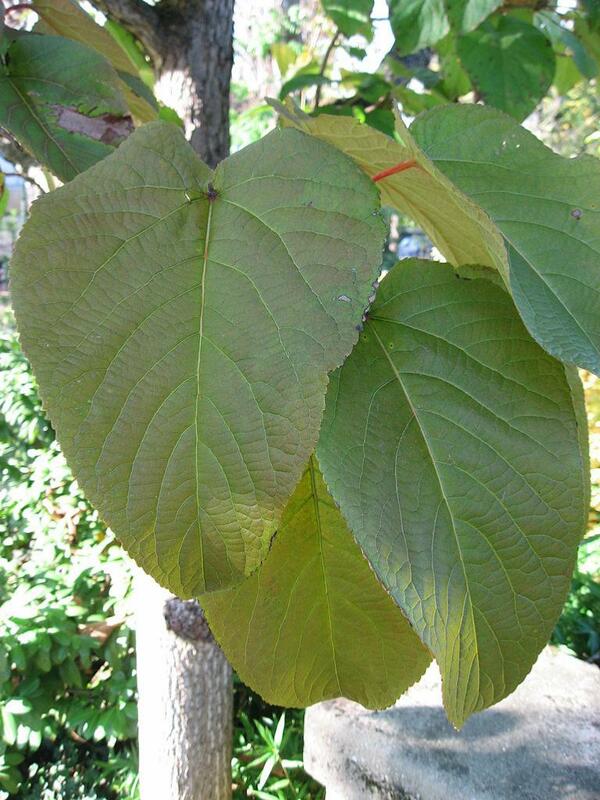 Ernest Wilson described it as a shapely tree inhabiting moist woods. The buds have a length of 3cm. Shoots are sturdy, angular and fluffy. 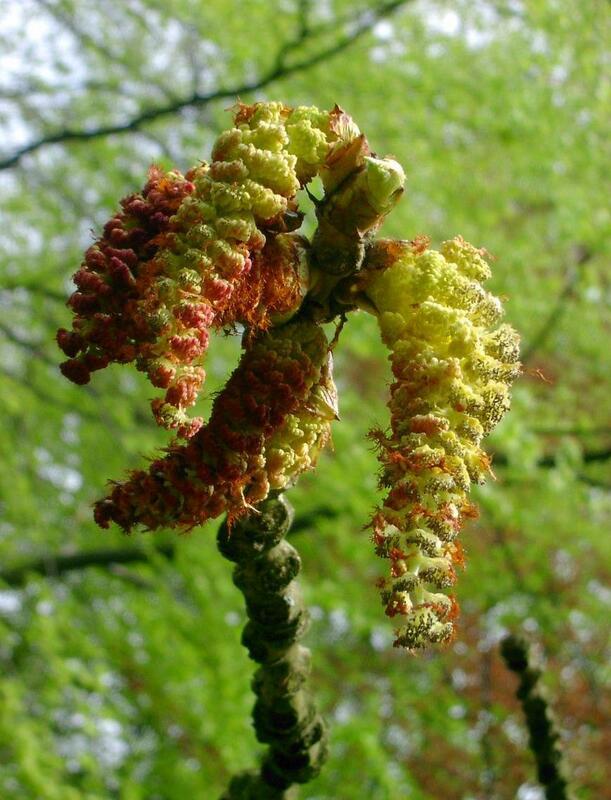 The petals grow on 25cm long catkins and produce round, woolly fruit. This species blooms from March to May with the fruits ripening from May to June. 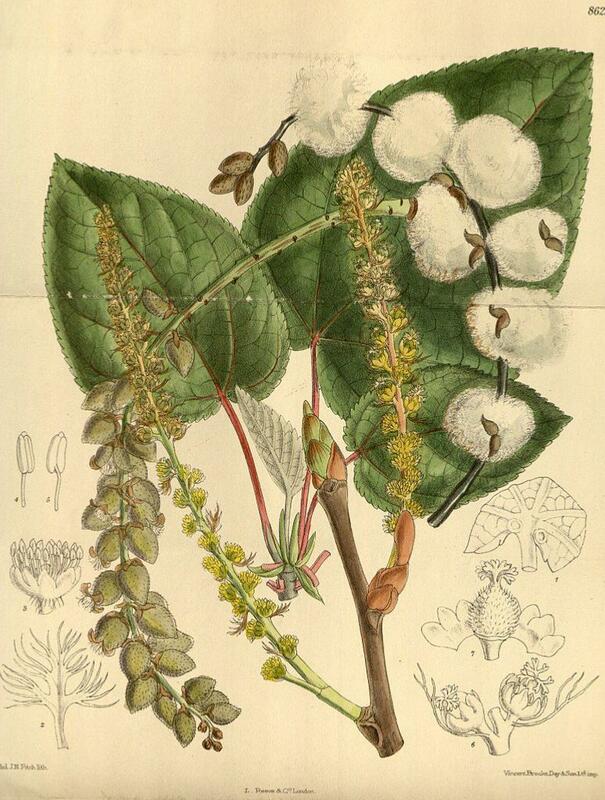 Native of Central China; discovered by Augustine Henry in 1888, and introduced for the famous Veitch Nurseries by Ernest Wilson in 1900. In regard to its foliage this is the most remarkable and striking of all cultivated poplars. 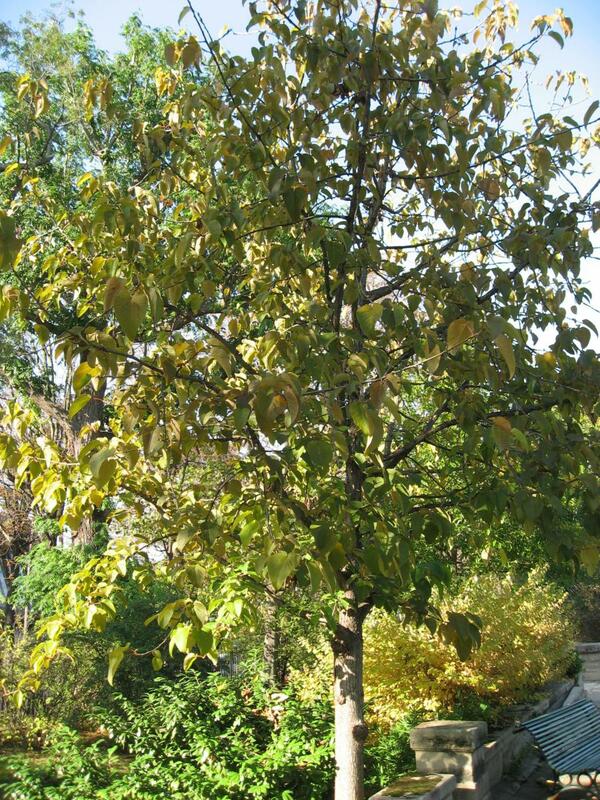 The leaves do not decrease much in size as the tree grows older. The very attractive bark is grey to light brown, later flaking off in small platelets; the thick young branches are yellowish-brown.